Donald D. Reiter, 75, passed away with his family at his side on November 6, 2007 at Avera McKennan Hospital in Sioux Falls. Donald was born on December 1, 1931 to Nicholas and Christella (Aurit) Reiter in Sioux Falls. He was a graduate of Cathedral High School. On February 9, 1952, Donald was united in marriage to Glorianne Roemen in Larchwood, Iowa. In March of 1952, he entered the United States Marine Corps where he reached the rank of Sergeant. Donald saw combat action in the Korean Conflict. After being discharged, he joined the Air National Guard retiring as Master Sergeant after being involved for 33 years. He worked at John Morrell for 33 dedicated years. At the time of his retirement, he was a groundskeeper at the Minnehaha County Country Club. 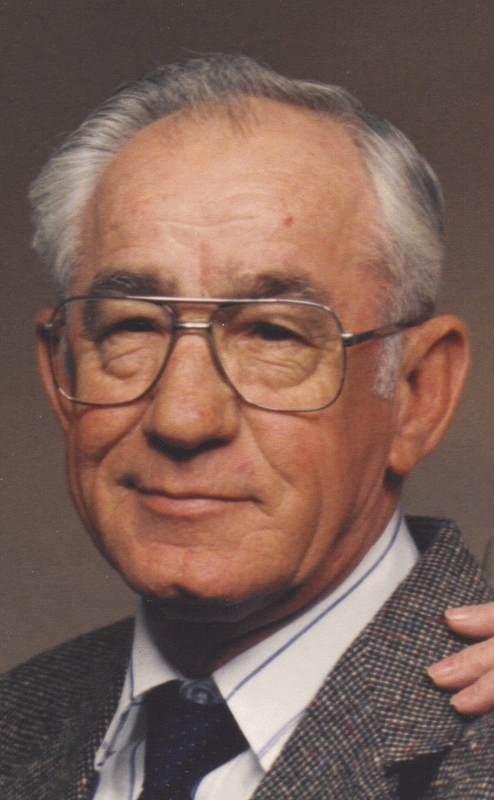 Donald was an avid outdoors man, enjoying hunting and fishing. He also enjoyed having morning coffee with relatives and friends. He was a member of St. Joseph Cathedral, the Elks Club #262, V.F.W. Post #628 and the American Legion Post #15. Donald is survived by his wife: Glorianne; son: Jeff (Karen) of Sioux Falls, SD; daughters: Leila (Duane) Sweeney of Manassas, VA and Lorna Reiter of Sioux Falls, SD; brothers: Nick (Faye) of Sioux Falls, SD, LeRoy (Karen) of Sioux Falls, SD, Vince (Colleen) of Sioux City, IA; brother-in-law: Vince Weinzetl of Sargent Bluff, NE; sister: Agnes (Bruce) Dyer of Sioux Falls, SD; sister-in-law: Irene Reiter of Sioux Falls, SD; 5 grandchildren and 2 great-grandchildren. Donald was preceeded in death by a son Joel, his parents, a brother Gene and sisters Elaine Davis and RoseMary Weinzetl. Visitation will be Thursday, 4 PM at Barnett-Lewis Funeral Home with a Scripture Vigil at 7 PM followed by the Rosary. Mass of Christian Burial will be Friday, 1:30 PM at St. Joseph Cathedral with burial to follow at St. Michael Cemetery with Full Military Rites by the Air National Guard. Memorials may be directed Avera McKennan Hospice or St. Joseph Cathedral.